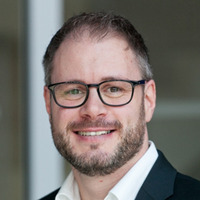 Dirk Brinkmann has been specialising on the optimisation of mission-critical enterprise processes like marketing and distribution for 15 years. He is Head of Marketing Solutions at arvato Systems and responsible for creating and implementing new online solutions for these areas. His focus lies on international brands, e-commerce businesses and media companies (broadcast, publishing, music and entertainment). Dirk Brinkmann studied business administration and business informatics in Germany and Great Britain. After his graduation, he started to consult multinational groups in the area of analytic management. Most recently within the Bertelsmann Group, he was responsible as a division manager for the production of the biggest German TV supplement and its digital transformation into a news and video portal.